Joseph Wilson Swan (1828-1914) English chemist and inventor. 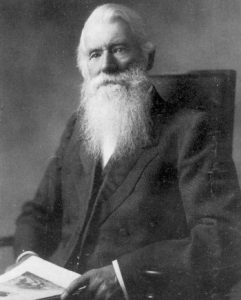 October 31 is Joseph Wilson Swan’s birthday. Swan was the English chemist and inventor who invented the incandescent light bulb. After finishing his apprenticeship as a chemist, Swan joined a group of manufacturing chemists in Newcastle. One of the projects this group worked on was the manufacture of photographic plates. Swan noticed that heat increased the sensitivity of silver bromide crystals in the emulsion. While tinkering to see what he could do to improve the sensitivity of photographic emulsions, he came up with the idea to replace the glass in photographic plates with a thin film nitrocellulose. His plates were extremely fast drying and much lighter than other photographic plates. Swan also patented a process to reproduce photographs using carbon printing. His technique used a gelatine emulsion of ammonium bichromate dusted with lampblack carbon. When exposed to light, the bichromate salts become insoluble to water. The more intense the light, the deeper in the emulsion the salts became insoluble. This emulsion would be exposed with the original negative image blocking the light. The non-exposed bichromates could be easily washed away in water leaving the exposed insoluble parts as a negative image of the negative. The emulsion was then attached to paper. Both of these photographic techniques would be refined and popularized by George Eastman after purchasing Swan’s patents. Swan’s photographic achievements also led to his incandescent electric light bulb. He was thinking of improving lighting for photography and a way to improve mine safety for coal miners. He began working with a platinum filament to produce his electric light, but the expense was too high. He knew burning carbon is used in limelight and tried to devise a method of making thin filaments out of carbon. Swan’s method involved filling a container with paper strips and carbon dust. The container was then set into a pottery kiln to bake the carbon dust into the paper. The resulting carbon paper could then be attached to electrical leads to run a current across. These filaments would burn out quickly due to his inability to produce a good vacuum in his bulbs. Once the mercury vacuum pump came along, he could make good bulbs, but still had problems of some of the carbon burning and blackening the glass. Swan improved his carbon fiber filament by treating cotton fibers with sulfuric acid and pushing the solution through a porous screen to produce carbon fibers. These fibers proved to be much stronger and could be molded into tight, thin spirals. This technique is still used today to produce artificial fibers by polymer chemists. Thomas Edison used this bulb as a starting point for his electric light twenty years after Swan produced his first bulb. Edison acquired patents for what was basically Swan’s light bulb in the United States and began advertising he was the inventor. Swan was not overly concerned with making money as he was with keeping credit for his work. The two men worked out a compromise and established the Edison & Swan Electric Light Company or “Ediswan” in England while Edison retained the rights to produce electric lighting in the United States. Remember, when asked, Joseph Swan produced the first incandescent light bulb. Not Thomas Edison. 1988 – George Eugene Uhlenbeck died. 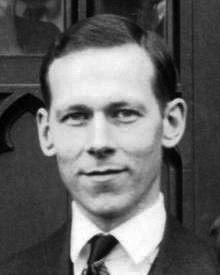 Uhlenbeck was a Dutch-American physicist who proposed the idea of electron spin with Samuel Abraham. Electron spin is the fourth quantum number and describes an intrinsic angular momentum of an electron. Spin can have one of two values, typically called spin up or spin down. 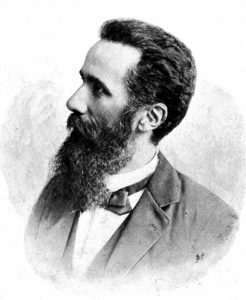 He is also known for the Ornstein-Uhlenbeck process that statistically describes the velocity of a large particle under Brownian motion within a fluid with friction. 1986 – Robert Sanderson Mulliken died. Mulliken was an American chemist who was awarded the 1966 Nobel Prize in Chemistry for describing the electronic structure of chemical and molecular bonds using the molecular orbital method. He proposed that when a molecule is formed, the electron configuration of the component atoms re-orient their orbitals to an overall configuration of the molecule. 1925 – John Anthony Pople was born. Pople was an English theoretical chemist who developed a computer program called Gaussian to apply the formulas of quantum mechanics to predict chemical reactions. Gaussian found its way into laboratories and became a fast and useful tool to study quantum chemistry. His development of this program would earn him one half the 1998 Nobel Prize in Chemistry. 1867 – William Parsons died. 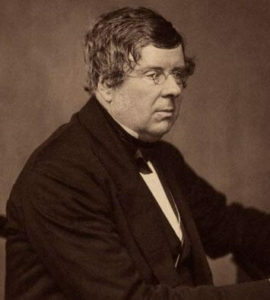 William Parsons was the 3rd Earl of Rosse and Irish astronomer that built the largest telescope of the 19th century. The 72-inch “Leviathan of Parsonstown” was completed in 1845 using mirrors of his own construction. He was able to resolve images of distant objects which appeared to have spiral arms of stars. These objects had previously been assumed to be clouds of gas like nebulas, but now could be identified as spiral galaxies. He also observed and named the Crab Nebula. 1847 – Galileo Ferraris was born. Ferraris was an Italian physicist and electrical engineer known for his work on rotary magnetic fields. He published the design for his alternating current motor the same year Tesla gained a US patent for an AC motor. His motor used electromagnets at right angles and powered by alternating currents that were 90° out of phase to produce a revolving magnetic field. This device is the principal method used today to convert electric power to mechanical power. 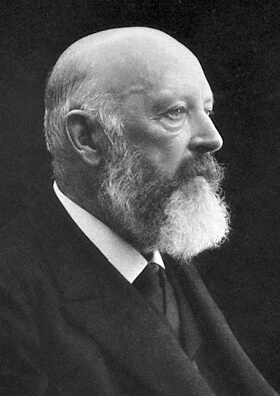 1835 – Adolf von Baeyer was born. Baeyer was a German organic chemist who was awarded the 1905 Nobel Prize in Chemistry in recognition for his contributions to organic and industrial chemistry through his work on organic dyes and hydroaromatic compounds. He was the first to artificially synthesize the purple dye indigo previously available only from plants and was the first to synthesize synthetic fluorescein, a dye that glows under ultraviolet light. Baeyer also discovered the phthalein dyes and barbituric acid, the basic compound of barbiturates. 1828 – Joseph Wilson Swan was born.